Anello, "I do not choose to run." 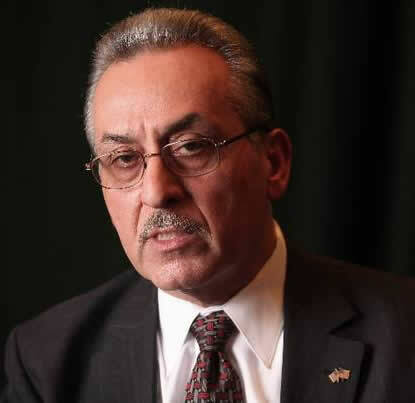 Vince Anello told the Niagara Falls Reporter this week that he will not seek election to the Niagara Falls City Council. In an April16th cover story, Anello told the Reporter he was contemplating a run and would announce his decision by June. Following a 12-day out-of-town visit with family, he said he made up his mind. "I'm not going to run at this time," he said, not ruling out a possible run in the future. Anello suggested his family did not support his re-entry into political life. Instead, the former mayor said, he has "just this week" reactivated his master electrician's license in Niagara Falls which had been on inactive status for several years and he has once again gone to work in the private sector. Anello is now working for David Rulli Electric and will do inspections and permits for the company for both residential and commercial jobs. Anello's joining the company will allow Rulli to accept new work in Niagara Falls. Rulli is licensed in a number of other of municipalities in the county but prior to Anello's joining the company did not have a licensed master electrician in Niagara Falls working for the company. "I still consider myself a cheerleader for Niagara Falls," Anello said of his civic life, and noted that his twice-weekly WJJL call-in radio show has grown in popularity since it first aired nearly a year ago. Anello's radio show is aired live on WJJL 1440 AM at 10 a.m. on Tuesdays and Thursdays. Anello does not screen calls and anyone can call in at 716-297-1059 to talk to the ex-mayor about issues of concern. Anello also regularly has guests and said he plans to have all of the Niagara Falls Council candidates on his show individually in the next few weeks. Asked why he decided not to run after announcing that he was seriously considering it, he said, "I want to develop the (radio) program and getting involved in the electrical business will take a lot of time." Anello also has one more morsel on his platter of things to do: he hopes to start a ballot initiative to make certain changes in the city charter. "There are a lot of conflicts in the charter and I hope to clarify some of the duties of the mayor and council," he said. Anello said he would announce his planned charter revisions shortly for general debate among the voters of this city.